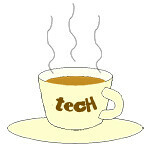 Windows Phone 8 « Tech bytes for tea? The Gold version of the Lumia 930 comes with an anodised gold colour around its sides and will be available in Singapore (S$699) starting this Saturday, 21 February, 2015. Promotions for other Lumia models below. The Lumia 930 will be available in black or white, both with a premium gold finish. The gold Lumia 930 will be retailing in Singapore for S$699 at Singtel, M1 and Amobile with bundled data plans. Below are some promotions for other Lumia Windows smartphones for this Chinese New Year. Promotion ends Saturday, February 28, or while stocks last. Microsoft Devices offers the 5-inch Windows Phone 8.1 phablet at an affordable S$199. The budget phablet comes with a 5-megapixel front camera and dual SIM. The Lumia 535 Dual SIM will be available in a range of colours including orange, white, cyan and black. Bright green and dark grey are not available for Singapore. First announced on 10 November in the US, the Lumia 535 will debut in Singapore on 5 December, at an affordable price of S$199. Make memorable Skype video calls and seamlessly switch between voice and video with built-in Skype integration. Fit more memorable backgrounds or add more friends into Skype video calls and selfies with the 5 MP wide angle front facing camera. With Microsoft Office Mobile, you can now access, edit and share Word, Excel and PowerPoint documents and OneNote notebooks wherever you are, with the pre-installed Microsoft Office suite. Connect with work and personal e-mail while on the go, with built-in Microsoft Outlook. Add a whole new dimension to your console entertainment with Xbox One SmartGlass, the perfect companion app if you want the best of your Xbox One from both in your living room and on the go. Connect and control your Xbox One and stay connected with the games and gamers you like. Lumia 535 sports a 5-inch qHD (960 x 540 pixels, 16:9) IPS made of Gorilla Glass 3 with capacitative touchscreen at resolution of 220ppi. The Inspiron 14 7000 Series is a high-performance 14-inch laptop designed for today’s youth. It is available in Singapore now starting at S$1,699. The new Dell Inspiron 14 7000 Series is available now in Singapore, and is available at Comex 2014. Dell has expanded its Inspiron line with the Dell Inspiron 14 7000 Series, a high-performance 14-inch laptop specially designed and developed for youths, a growing consumer segment. The Inspiron 14 7000 is available at the COMEX 2014 show, at Booth #8111, Hall 4, Level 4 Suntec Singapore. You can also check out Dell’s other offers as well as offers from other IT vendors. Featuring the latest Intel® performance processor, NVIDIA® GeForce® GTX-class graphics, and a sleek design, the Inspiron 14 addresses the rising demands of today’s generation of youths, whether it is for school, work, gaming or multimedia entertainment. The Inspiron 14 7000 offers powerful productivity, powerful gaming experience and enhanced support and accessories. Read the details in the extracts of the press release at the end of this article. The Lumia 530 is now available in Singapore at an RRP of S$159 at Nokia Stores and Nokia Solution Partners. M1 will also be retailing the device bundled with data plans. Windows Lumia 530 – available at S$159 in Singapore from 23 August 2014. This is the most affordable Lumia to date, with a price below S$200. The Lumia 530 is powered by a 1.2GHx quad-core Qualcomm Snapdragon 200 processor and has a 4-inch FWVGA LCD display. The new Lumia 930 smartphone with Windows Phone 8.1 will be available in Singapore stores and all three telcos at S$789 from this Saturday on 12 July. The Lumia 930 from Microsoft Devices is now available in Singapore at Nokia Stores and Nokia Solution Partners, at an RRP of S$789. All three local operators will also be retailing the device with bundled data plans. The Lumia 930 will be available in a range of colors including bright orange, bright green, black and white. The Lumia 930 integrates the best of Microsoft into the Lumia family of smartphones to deliver better video and imaging experience on a smartphone. “In today’s social world, capturing and sharing video is more important than ever. The Lumia 930 provides the perfect blend of Microsoft and Lumia to deliver cutting-edge imaging technology for an unrivalled video and imaging experience on a smartphone,” said Vlasta Berka, Vice President, Sales & Marketing, Microsoft Devices. It is the new flagship smartphone from Microsoft Devices after Microsoft’s acquisition of Nokia’s mobile business. The device packs a rich suite of applications and services into a beautifully crafted design with metallic details and vibrant new colours, while keeping content like photos, videos and documents in sync across Windows Phone, PC, tablet and Xbox devices. In terms of key specs, the Lumia 930 has a 5-inch Full HD OLED display with the signature convex screen that enables a 180-degrees viewing angle. The Lumia 1320 (S$459) is Nokia’s more affordably-priced 6-inch phablet and will be available in Singapore from tomorrow at Nokia Stores, Nokia Solution Partners and all three local telcos. The Nokia Lumia 1320 will be available in four colours – orange, yellow, white, and black. The Lumia 1320 packs many of Nokia’s Lumia features into its 6-inch phablet form factor but at a lower price point. These include imaging features such as Nokia Camera and Nokia Storyteller, global mapping and location services from HERE, and unlimited streaming of ad-free music with Nokia Mix Radio. Both the Nokia Lumia 1520 and Nokia Lumia 1320 ships with Microsoft Office include so users can view and edit Word, Excel and PowerPoint files on the move, with up to 7GB of free and secure cloud storage via SkyDrive. As with the flagship Lumia 1520 (S$999) and affordable Lumia 525 (S$249) which began selling in Singapore on 14 December 2013, all three devices come with the Windows Phone 8 Nokia Lumia Black update. Tech specs for all three Lumia smartphones can be found here, for comparison between the Lumia 1520 and Lumia 1320. Both phablets have the same 3400mAh integrated battery. This provides up to 21 hours of 3G talk time and almost 100 hours of music playback for the Lumia 1320. The Lumia 1520 has a 1080p full HD display for its 6-inch screen, and a 20-megapixel PureView camera with optical image stabilisation (OIS). It also records full HD video. The more affordable Lumia 1320 has a 720p display on its 6-inch screen.